Remove the cap (A) from the front door sill trim (B). Remove the opener lock cylinder (C). Remove the front door sill trim (A). 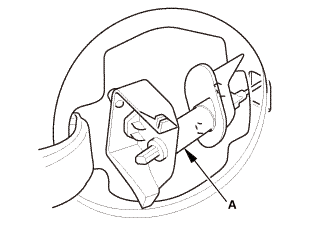 Loosen the opener mounting rear bolt (A). 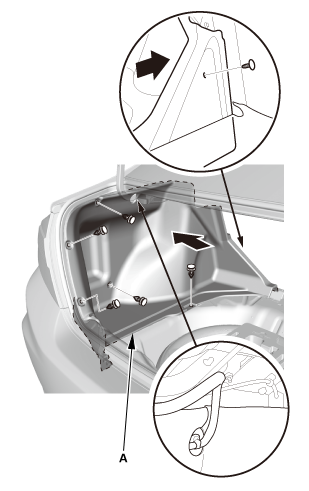 Remove the opener mounting front bolt (B), then remove the trunk lid opener/fuel fill door opener (C). 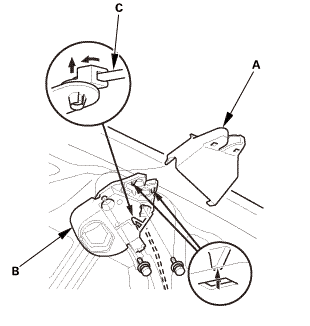 Disconnect the trunk lid opener cable/fuel fill door opener cable (A) from the opener. 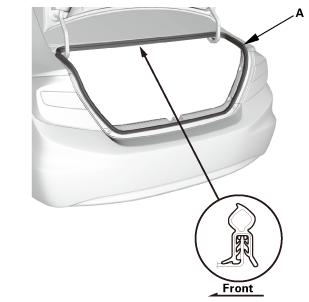 While pushing down on the rear seat cushion (A), pull the seat hook handle (B) to release the hook (C). 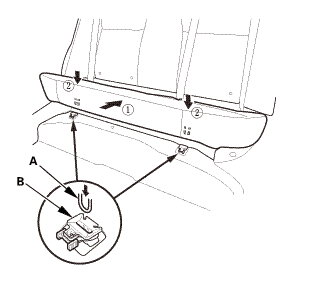 While pulling up the seat cushion, remove the rear door sill trim (D). 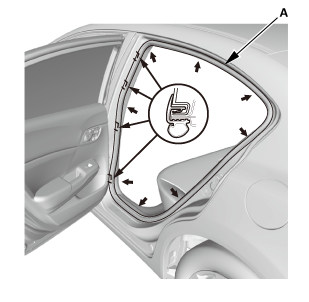 Remove the front door opening seal (A) and the rear door opening seal (B) as needed. Slide the front seat forward fully. 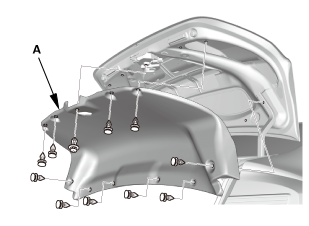 13-14 Models (driver's side): Remove the B-pillar lower cover (A). Remove the B-pillar lower trim (A). 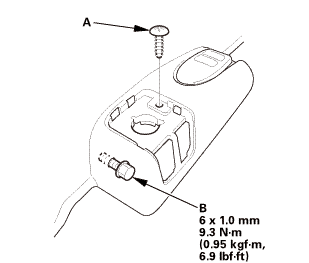 Remove the bolt (A) securing the rear seat cushion (B). 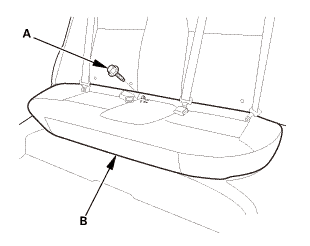 While pushing down the rear seat cushion (A), pull the seat hook handles (B) to release the hooks (C). Remove the rear seat cushion. 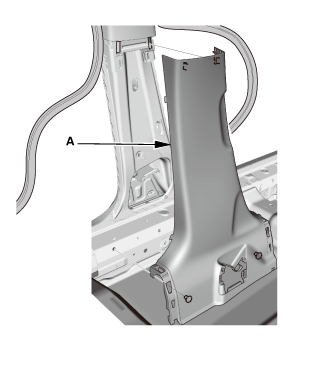 Remove the bolt (A) securing the rear seat side bolster (B). The left side is shown; repeat on the right side. Remove the rear seat side bolster (A). 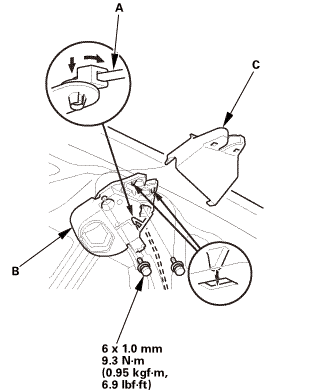 Remove the front area of the trunk floor cover (A). Remove the trunk floor cover (A). Remove the trunk lid weatherstrip (A) as needed. Remove the trunk rear trim panel (A). Remove the trunk side trim panel (A). For some models: Remove the trunk lid trim panel (A). 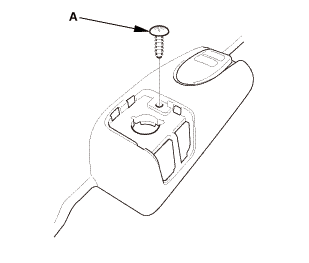 Remove the latch cover (A). Remove the trunk lid latch (B). 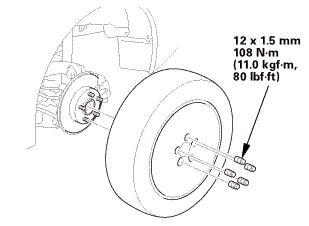 With trunk lid lock cylinder: Disconnect the cylinder rod (C). 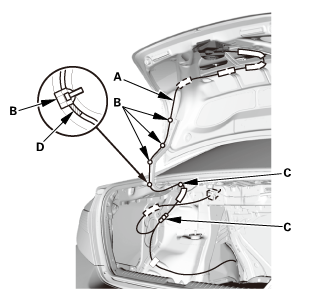 Disconnect the trunk lid opener cable (A). Raise the vehicle on a lift, and make sure it is securely supported. Remove the fuel pipe protector (A). 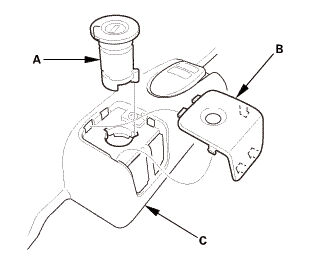 Remove the fuel cap (A). 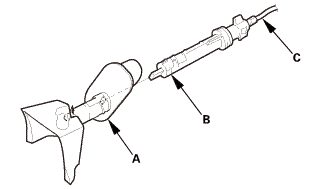 Lower the fuel filler pipe (B), then remove it from the fuel cap adapter (C). 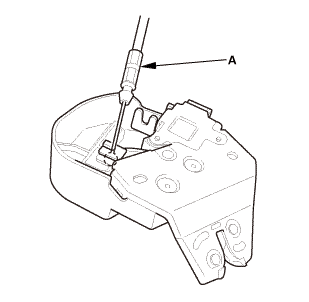 Turn the fuel cap adapter (A), then remove it. 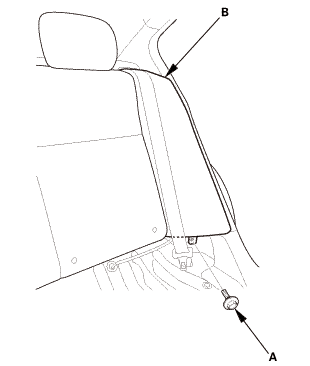 Remove the clip (A) and the cushion tapes (B) securing the trunk lid opener cable/fuel fill door opener cable (C). 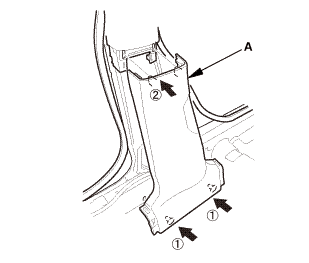 Remove the grommet (A) from the body. 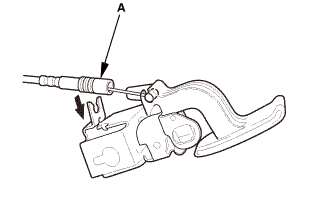 Remove the grommet (A) from the fuel fill door latch (B). 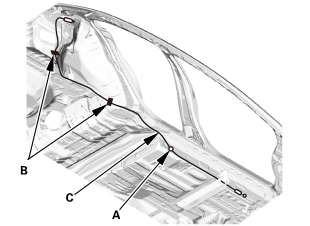 Remove the fuel fill door opener cable (C) from inside the body. 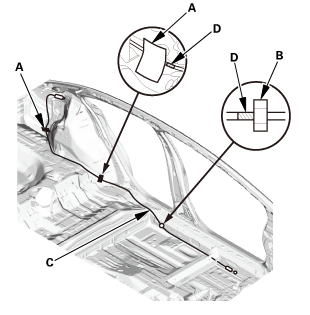 Detach the clips (A), and release the trunk lid opener cable/fuel fill door opener cable (B) from the clips (C), then remove the cable from the vehicle. 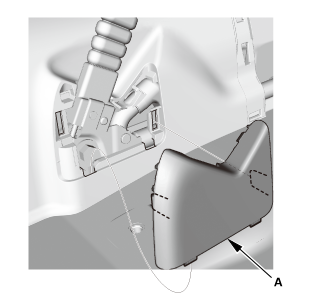 Install the trunk lid opener cable/fuel fill door opener cable (A) to the clips (B), and install the clips (C) securing the cable. NOTE: Align the marks (D) with the clips as shown. 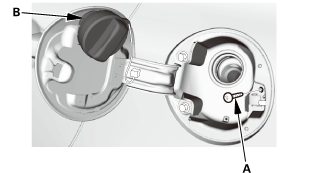 Install the grommet (A) to the fuel fill door latch (B). 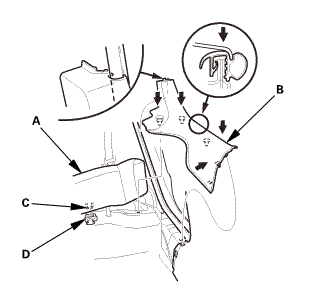 Install the grommet (A) to the body. 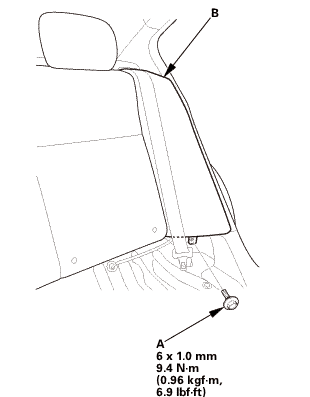 Install the cushion tapes (A) and the clip (B) securing the trunk lid opener cable/fuel fill door opener cable (C). 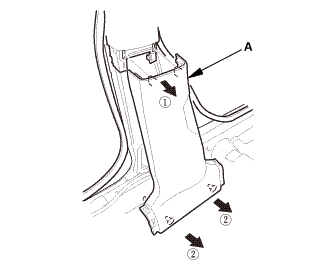 NOTE: Align the marks (D) with the cushion tapes and the clip as shown. Install the fuel cap adapter (A) into place. 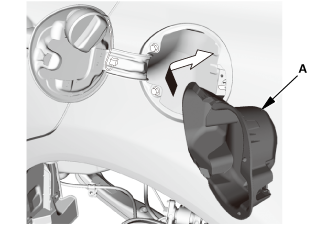 Raise the fuel filler pipe (A), and install it to the fuel cap adapter (B). Install the fuel cap (B). 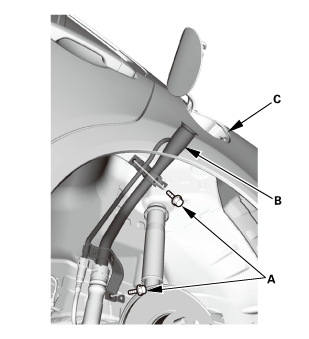 Install the fuel pipe protector (A). 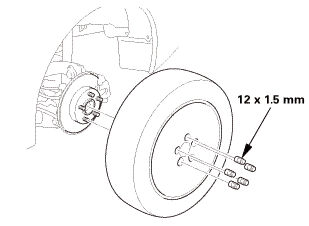 NOTE: Before installing the wheel, clean the mating surfaces between the brake disc or the brake drum and the inside of the wheel. 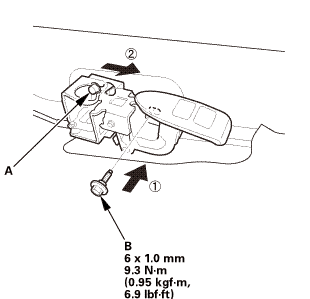 NOTE: Fix the original position of the outer end of the cable (A) on the trunk lid latch securely. 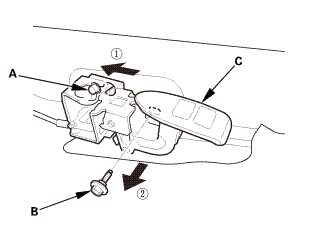 And check the trunk lid latch operation: Make sure the trunk lid latch unlocks when pulling the trunk lid opener/fuel fill door opener. If necessary, adjust the position of the cable end. 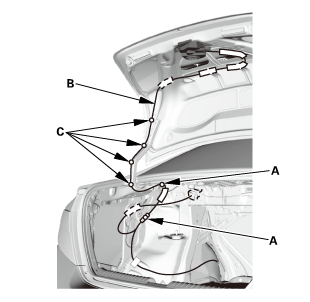 Connect the trunk lid opener cable (A). With trunk lid lock cylinder: Connect the cylinder rod (A). 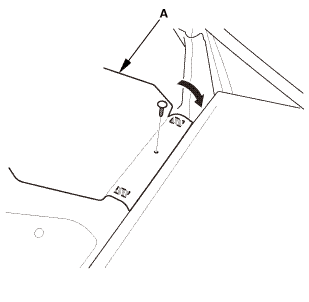 Install the trunk lid latch (B). Install the latch cover (C). For some models: Install the trunk lid trim panel (A). Install the trunk side trim panel (A). Install the trunk rear trim panel (A). 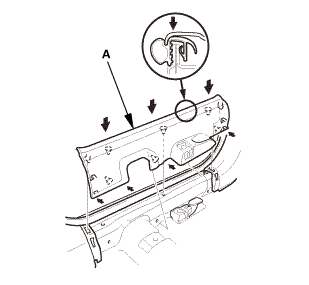 Install the trunk lid weatherstrip (A). Install the trunk floor cover (A). 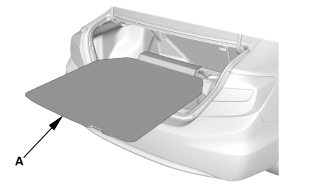 Install the front area of the trunk floor cover (A). Install the rear seat side bolster (A). 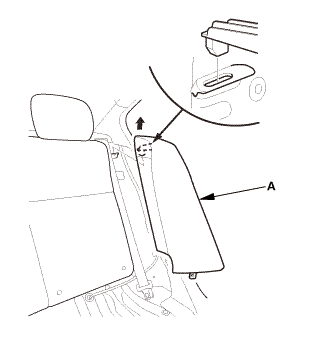 Install the bolt (A) securing the rear seat side bolster (B). 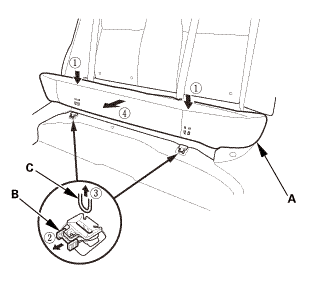 Install the hooks (A) to the rear seat cushion clips (B). 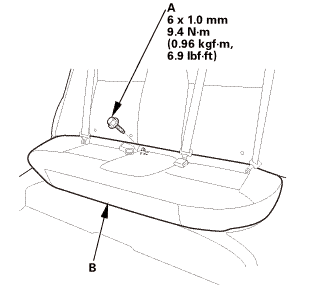 Install the bolt (A) securing the rear seat cushion (B). Install the B-pillar lower trim (A). 13-14 Models (driver's side): Install the B-pillar lower cover (A). 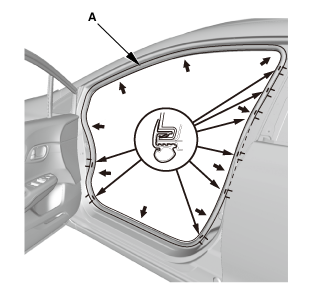 Install the front door opening seal (A) and the rear door opening seal (B). 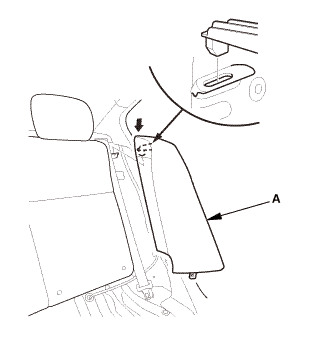 While pulling up the rear seat cushion (A), install the rear door sill trim (B). Push down the seat cushion, then install the hook (C) to the rear seat cushion clip (D). Connect the trunk lid opener cable/fuel fill door opener cable (A) to the opener. 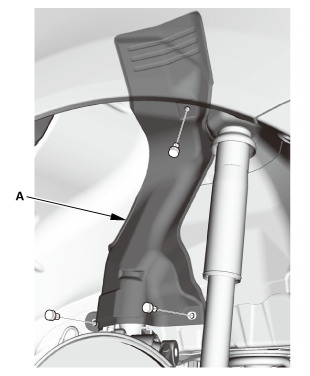 Install the opener mounting rear bolt (A) temporarily. 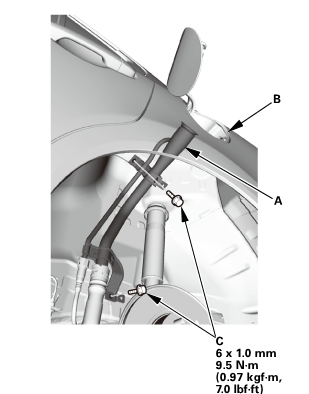 Install the opener mounting front bolt (B). Install the front door sill trim (A). 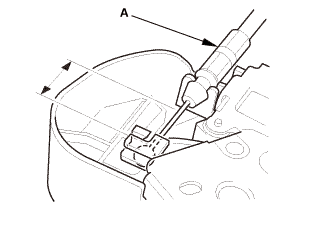 Tighten the opener mounting rear bolt (B). Install the opener lock cylinder (A). 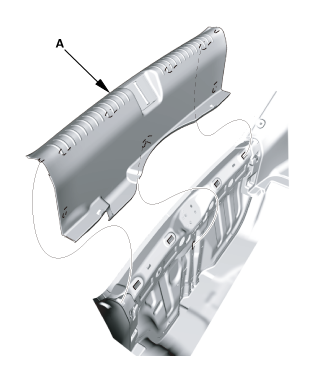 Install the cap (B) to the front door sill trim (C).